It has been a long time coming and after hiatus after hiatus, D.Gray-man has finally returned to publication and it has returned in glorious fashion! It has been over two years since chapter 218 came out and now that chapter 219 is upon us, we can finally continue the story and what a continuation it was. First, a little bit of back story since it has been quite a while. 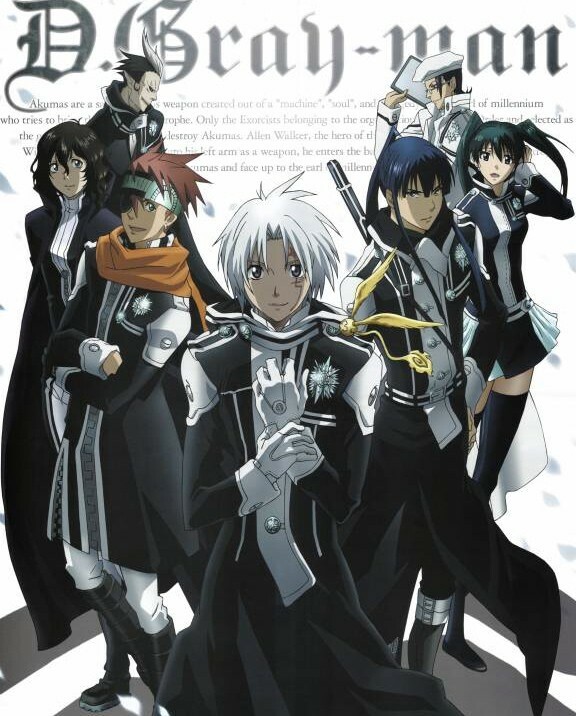 When we last left D.Gray-man, the “Search for Allen Walker” arc was in full swing. Kanda finds Allen, but then Apocryphos, a sentient form of innocence and one of the ultimate weapons of the Cardinal and his Cathedral, was unleashed. Deemed now an enemy of The Black Order, the group under direct command of The Cathedral, Apocryphos was sent to destroy Allen Walker. Allen’s labeling as an enemy came about when it was discovered that Allen was the 14th Noah… or at least he holds the memories of the 14th Noah inside of him. Allen and Apocryphos did battle and Apocryphos severely injured Allen, however, the other members of the Noah clan, including Road, battled and ended up capturing Apocryphos with Road becoming almost killed in the process. This brings us to chapter 219! We see the Memories of Noah, Wisely, talking to a sprite-like being which is Road in her recovering state. Tikki interrupts Wisely’s conversation with Road asking where the Millennium Earl has gone to. In order to talk to Road, it seems that Wisely has to use some sort of sub-conscious method, hinting that Road is recovering inside of him thanks to the power of his third eye. The slightly humorous scene transitions into the faceoff between the Millennium Earl and an injured Allen Walker. During their conversation, the growths on Allen’s body, referred to as a resonance with Apocryphos, diminish and disappear, possibly due to Apocryphos’ defeat, or perhaps the great distance now between them. That part wasn’t made clear, but it seems that Allen has recovered from the battle. Here, Allen is referred to as Nea, who is the name of the 14th Noah. It is made very clear that Allen Walker is merely a vessel for the memories of the 14th Noah and that it was the Millennium Earl who destroyed him so long ago. This is after Nea, as Allen, refers to the Earl as Mana D. Campbell. Then, Nea’s memories completely take over Allen’s body and the Millennium Earl sheds his suit and reveals his true form, that of a Noah. He hugs Nea and says that he is a man who betrayed him and tried to kill him.. a man he killed so long ago.. a man that he hates, but he questions why he wants to be together with him so much. That’s when the image shows two babies laying on top of an outfit normally worn by the Millennium Earl. Nea says that at one point, the two of them were once one.. and that they were, together, The Millennium Earl. So a HUGE moment that reveals that Nea and Mana are the same person, just split personalities of each other that have manifested and were found by Katherine who became their foster parent, but now this raises even more questions. How, or why did they split into two beings? If The Earl as we know him, is Mana… who was the Mana that Allen turned into an Akuma in the beginning of the story? Wisely also mentioned that if the “Earl” dies, then all the Noahs would die. Does this mean Mana? Nea? Both? One of them is hinted at being the Heart… the source of all Innocence, but Allen’s Innocence was already destroyed once at the hands of Tikki Mikk… so does this mean the Earl was the heart all along? They also state how memories can be altered so was Allen turning Mana into an Akuma merely a false memory? There is a LOT of confusion with this latest reveal and with this manga publishing in a quarterly magazine, we’re going to have to wait until October for the next chapter and that’s going to be pretty painful, but the way I see it… we’ve waited since April of 2013… we can wait another three months. I do have to say, however, that compared to the last few chapters, you can definitely tell Hoshino’s health and her hand have completely healed. The artwork in this chapter is, hands down, the best I have ever seen D.Gray-man at. You can clearly see how Hoshino has won awards for her art in the past. The sharp lines, the VERY HIGH attention to detail.. it’s staggering at how good the art is in this manga versus anything else out there today. All in all, this was an AMAZING chapter and I was overcome with joy as I was reading it. D.Gray-man is back, ladies and gentlemen!